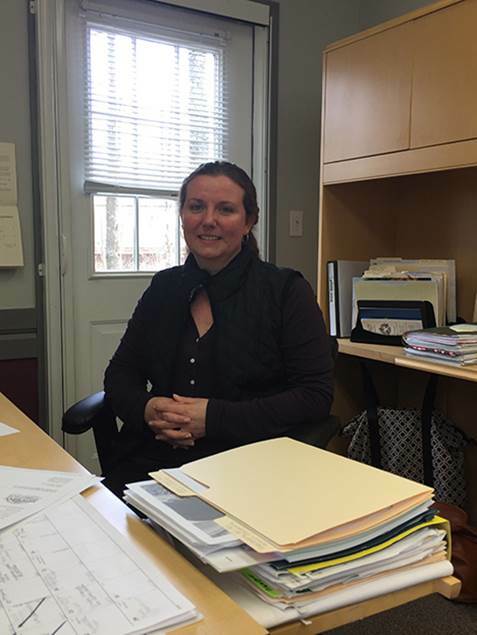 Kathryn “Kate” Lafond is getting to know the people and places in Northwood in her first month as Northwood’s town administrator. With 16 years of experience working in municipal government, she is quickly establishing herself as a professional and energetic administrator. She began her career with the Town of Kingston, NH in the Town Clerks office and more recently worked for the Town of Auburn, NH in finance and administration for nearly fourteen years. Additionally, she served as website administrator, welfare administrator and provided fill in coverage for land use administration. Her municipal work experiences developed knowledge in nearly all facets of municipal government and formed her ability to interact positively with members of the public, town staff, boards and committees, as well as various state and private agencies. Ms. Lafond’s educational pursuits include sociology with a concentration in community health, organizational leadership/management, and communication. She states that her ultimate goal in the position of town administrator is to help facilitate communication and cohesion so that the town’s boards/committees and staff can provide the best services to the community.